The 2018 Charlotte E. Ray Award will be presented to Michele Coleman Mayes, Vice President, General Counsel and Secretary, at the MCCA Diversity Gala on October 3, 2018 at the American Museum of Natural History in New York. 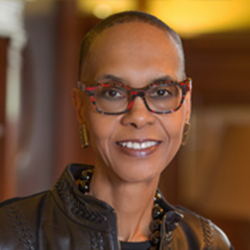 Michele Coleman Mayes is Vice President, General Counsel and Secretary for the New York Public Library (NYPL). Ms. Mayes joined NYPL in August 2012 after serving as Executive Vice President and General Counsel for Allstate Insurance Company since 2007. She served as a Senior Vice President and the General Counsel of Pitney Bowes Inc. from 2003 to 2007 and in several legal capacities at Colgate-Palmolive from 1992 to 2003. In 1982, Ms. Mayes entered the corporate sector as managing attorney of Burroughs Corporation. After Burroughs and Sperry Corporation merged, creating Unisys Corporation, she was appointed Staff Vice President and Associate General Counsel for Worldwide Litigation. From 1976 through 1982, she served in the U.S. Department of Justice as an Assistant United States Attorney in Detroit and Brooklyn, eventually assuming the role of Chief of the Civil Division in Detroit. Ms. Mayes received a B.A. from the University of Michigan and a J.D. from the University of Michigan Law School. Ms. Mayes served on the Presidential Commission on Election Administration from 2013-2014. She served as Chair of the Commission on Women in the Profession of the American Bar Association from 2014-2017. Effective in 2015, she was appointed as an Advisor to the ABA Business Law Section, and in that same year, became a Fellow of the American College of Governance Counsel. In August 2016, she was elected to the Board of Directors of Gogo Inc.